Yellow River Calls is a family business that was started based on the simple fact that we didn't want to spend a ton of money on new waterfowl calls. We knew we could produce great quality calls at an affordable price level for anyone. We are still coming up with new ideas and calls all the time. One of our best traits is that we actually tune the call to YOU. We take the time to fit the call to YOU, not the other way around. You shouldn't have to get used to the call like most of them out there. We sit, and talk, and tune with you so that YOU don't have to change your calling style. Its about YOU not the call. Of course this is best if we are face to face and the call is in your hands. We have still done plenty of what I'll call "blind tuning". Meaning we don't get to be there when you use the call. We usually go through a series of questions to see what type of air you use, how much, if you use voice inflection, or if you grunt into the call. ALL of these things matter in the case of "blind tuning" a call. In either case we'll get you tuned up and ready to hunt in a timely fashion so you are completely satisfied. Nathan, Justin, and Tony are what make up the YRC Staff and are all volunteers because we like making unique calls with our bare hands. 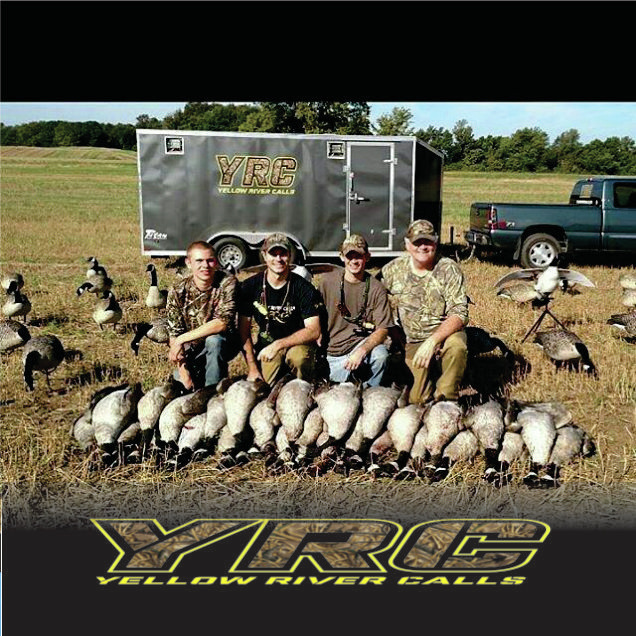 YRC was started in 2009 as a hobby. Selling a few calls here and there, no website needed, just having fun making calls. Then the orders started pouring in once we got better with quality and sound. We are still growing every year and we aren't slowing down.